The fortnightly Kingscliff Markets are a must for first-time visitors and travellers on the Tweed Coast. Held at Jack Bayliss Park on Marine Parade, the Kingscliff Markets offer a vast variety of gourmet food and fresh produce as well as plenty of market stalls selling fashion, jewellery, artwork, crafts, gifts, souvenirs, flowers, and more! With such a close location to the Kingscliff beachfront, this famous market enjoys a picturesque backdrop as well as a lovely atmosphere to soak up. And when you’ve taken time to explore the market, head to the beach for a picnic and swim! 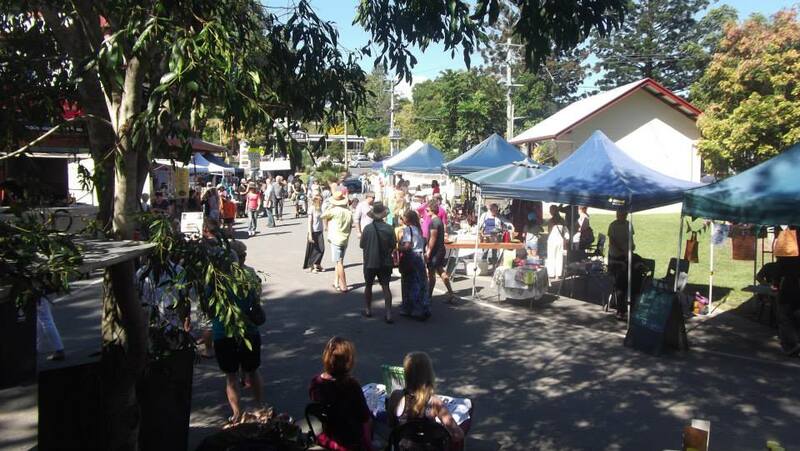 The Kingscliff Markets run every 2nd and 4th Saturday of the month from 7am to 1pm. It’s the perfect way to spend a Saturday morning on the Tweed Coast! The Uki Buttery Bazaar takes place every 3rd Sunday of the month in the picturesque village of Uki. Just a short drive from the Tweed Coast (offering lots of picturesque hinterland scenery along the way!) this fantastic village bazaar offers a bustling atmosphere with lots of market stands, as well as food and coffee stalls. Browse through a huge mixture of goods including clothing, handmade gifts, souvenirs, books, plants, jewellery, and more. Expect to find heaps of vintage and antique items to dig through – and you can be sure to leave with more than a few bargains! The Uki Buttery Bazaar also features regular live music from the local ‘Perch Creek Jug Band'. After soaking up this popular monthly market, make sure you to take a walk through the wonderful town of Uki, offering lots of great places to stop for a bite and coffee whilst taking in the relaxing surroundings. The Village Farm Markets are relatively new and offer the best farm produce that the Tweed Coast has to offer. With over 50 food stalls selling organic produce, gourmet treats, hot street food, BBQ and coffee. There’s lots to have a browse through! This weekly market also offers fun entertainment for the whole family from kids’ face-painting to live music. The Village Markets take place every Saturday morning in Kingscliff.